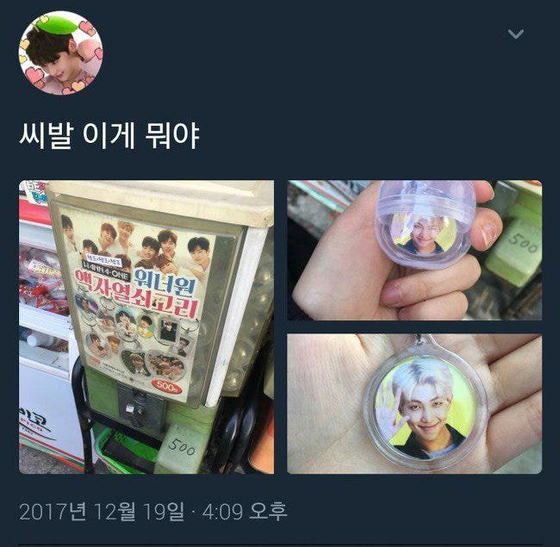 On December 2017, a funny thing that happened to one K-pop fan was tweeted. 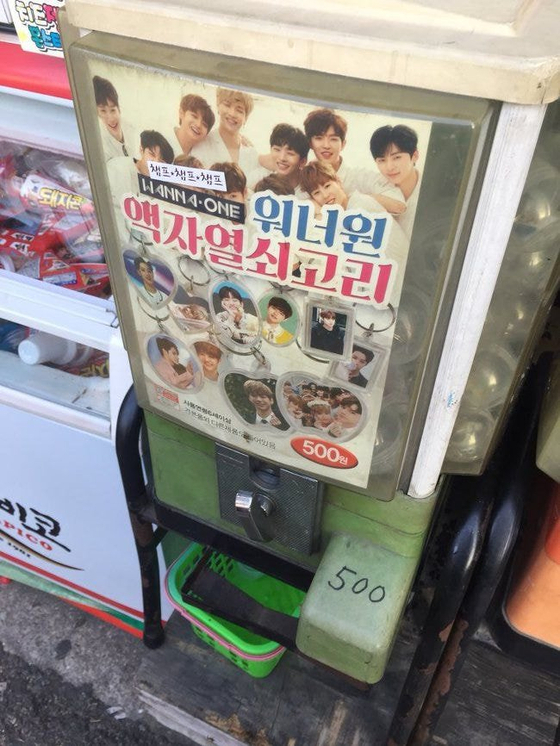 This Twitter user, who is assumed to be a fan of Wanna One, tried a toy dispenser that you put 500 KRW in it in exchange for a random key chain with Wanna One members on it. 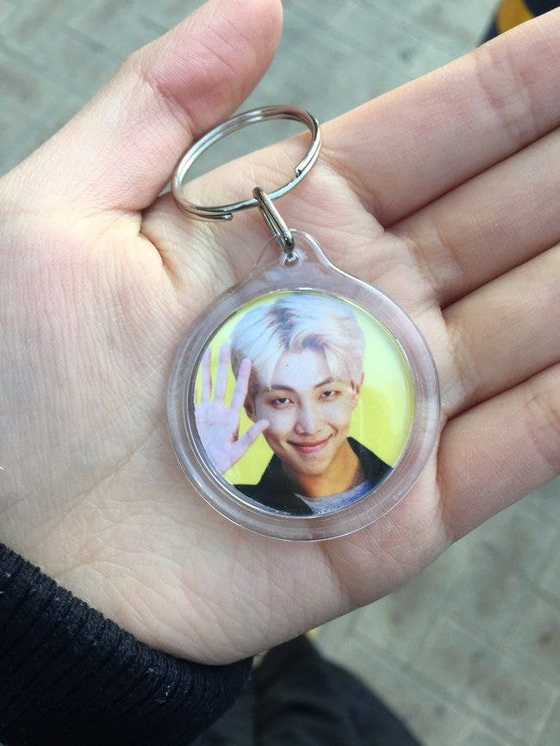 However, in contrast to what the person expected and everyone else would expect, RM, a member of BTS, who clearly is not a member of Wanna One, came out. 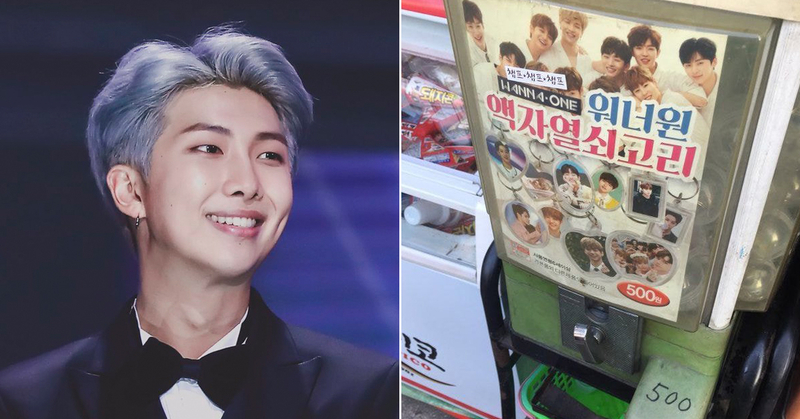 Fans showed various responses by commenting, "Is Namjoon doing two jobs?" "What is he doing there" "I was genuinely surprised lol" and more.